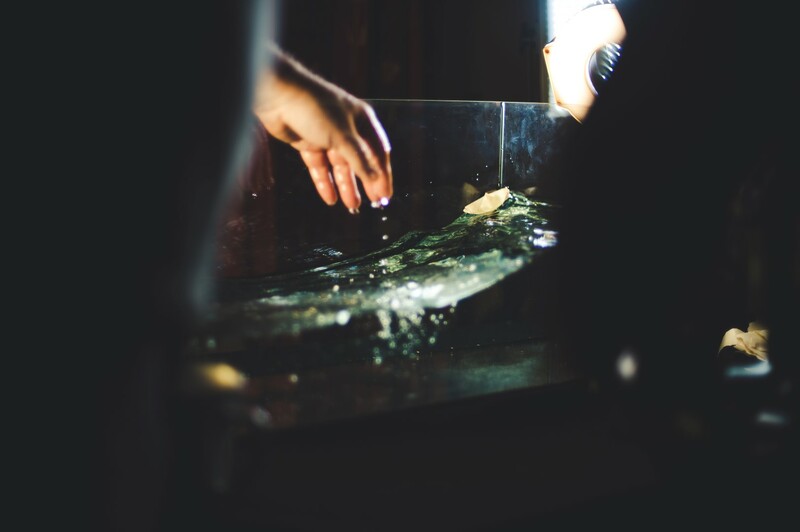 Okopova is a Post-Rock Ambient Steampunk conceptual album. After working on Carnival Symposium and Paleblack I wanted to have a little bit more of a creative space and started experimenting with sound design and music. The main idea was to go back to something a bit more chilled out and modern while trying to keep the uniqueness and peculiarity of VOIDFACTORY’s universe. It took many years to find the sound of the album and the right combinations that work together. In terms of audio, all the album has been self produced, pretty much every little bit has been recorded, edited and mixed at home. From the rain sounds to the balalaika (which I didn’t know how to play until then!). Ultimately, working everything in a very home-like environment became a style itself. Many detours had to be taken in order to reach a specific result and this process was both soothing and interesting. There was barely any mixing phase, everything has been prepared on the spot. Small adjustments on every tracks were consistently made to ensure a high-enough level of consistency could be reached within all tracks. Everything has been baked together over time, the same way you would prepare a wok! Finally, the best material has been sent over to François Fanelli at Sonics Mastering (https://www.sonics-mastering.com/en/) for the final touch. 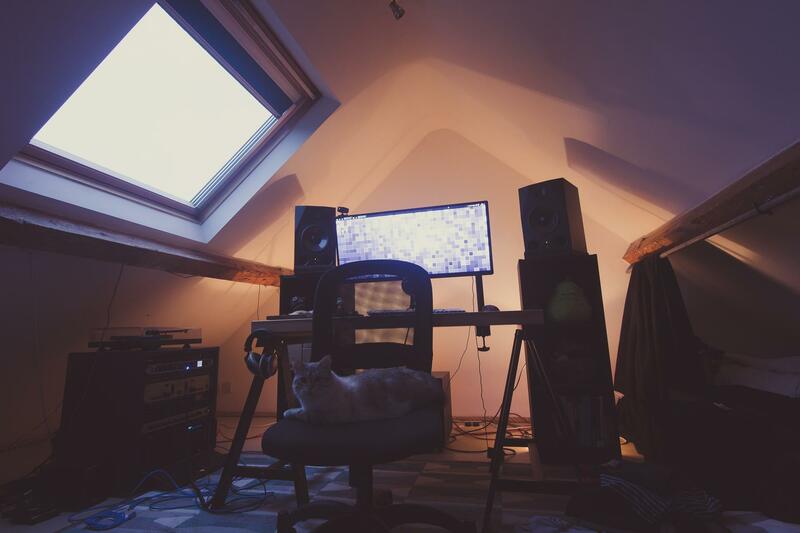 My work environment for the past two years I’ve been working on this album. Later on, my friend Robin Beanland (Music Director at Microsoft Rare ltd.) recorded some delicious flumpet for some tracks while Marion Dufour recorded some vocals, this helped welding some parts in the album and adding things that I could have never done alone. 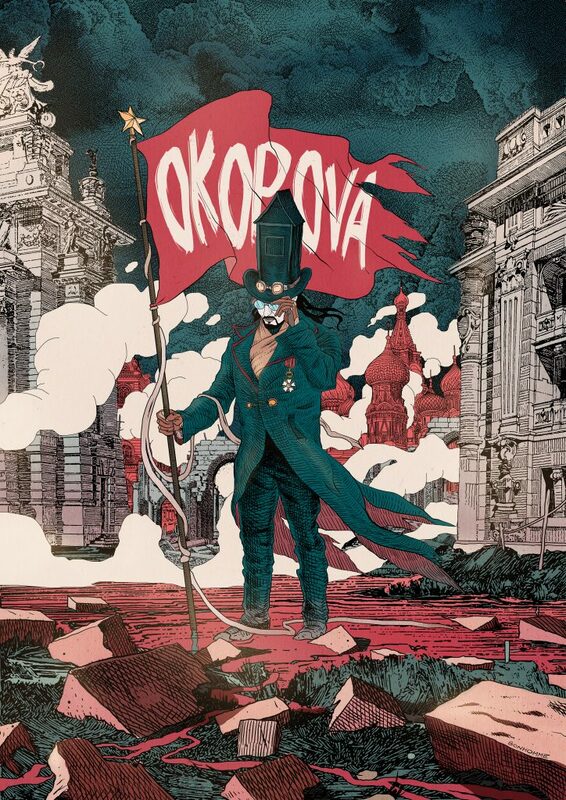 The cover album, signed by French illustrator Olivier Bonhomme (http://www.olivierbonhomme.com) was both designed to be a poster and an album cover at the same time. The poster version does shows up a few more elements and Olivier has this specific style which is easy to read and have striking colors at the same time. A little word about the video. Aside of the album, we started to shoot a music video with Andreas Oberg, Nathalie Oberg, and Magnus Anteroinen. We shot some vocal parts with moving lights and a cheap £20 smoke machine found on Amazon. Additionally, I’ve been able to find a deep diving helmet on ebay (thanks India!). 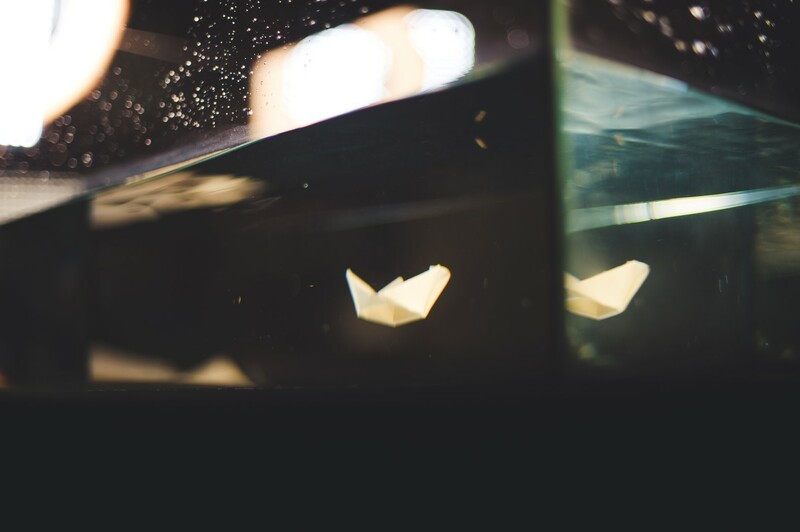 We also shot paper boats in slow motion in a small aquarium (thanks amazon!) with a very shallow depth of field, great fun. Later on, I edited all the shot and sent that to Maxime Mourey for color grading.